World Record Sophie Germain Prime! Message boards : News : World Record Sophie Germain Prime! The prime is 388,342 digits long, eclipsing the previous record of 200,701 digits. It enters Chris Caldwell's “The Largest Known Primes Database” ranked 1st for Sophie Germain primes and 3,747th overall. The discovery was made by Scott Brown (Scott Brown) of the United States using an Intel(R) Core(TM)2 Quad CPU Q6700 @ 2.66GHz with 4 GB RAM running Microsoft Windows 7 Enterprise. This computer, using LLR, took about 1 hour and 33 minutes to complete the primality test. Scott is a member of the Duke University team. The prime was verified on 29 February 2016 06:21:47 UTC, by Vaughan Davies (vaughan) of Australia using an Intel(R) Core(TM) i7-4770S CPU @ 3.10GHz with 32 GB RAM running Microsoft Windows 7 Ultimate. This computer, using LLR, took about 47 minutes to complete the primality test. Vaughan is a member of the AMD Users team. 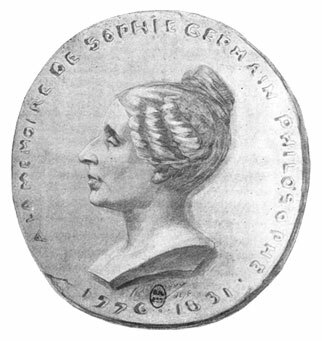 The last world record Sophie Germain prime that was found by PrimeGrid in 2012 was also found by a user from the United States and verified by a user from Australia. This is really a great discovery. That sounds so low key. On the day Scott found that prime, I was all exclamation marks and ALL CAPS on the admin back-channels. :) Mega primes may have become routine (there were 6 last month, and 2 so far this month), but an SGS or twin is really rare. Congratulations to Scott and Vaughan!!! It’s GREAT to see two “old schoolers” come together to pull this one up from the depths. I’m very pleased to see Sohpie Germain again in the spotlight with a record prime of her namesake. Well done PrimeGrid. She is most notably known for her work on Fermat's Last Theorem and as a pioneer in elasticity theory. In a related topic, it is interesting to note that Sir Andrew J. Wiles received the Abel Prize yesterday 15 March 2016 for his 1994 proof of Fermat’s Last Theorem.